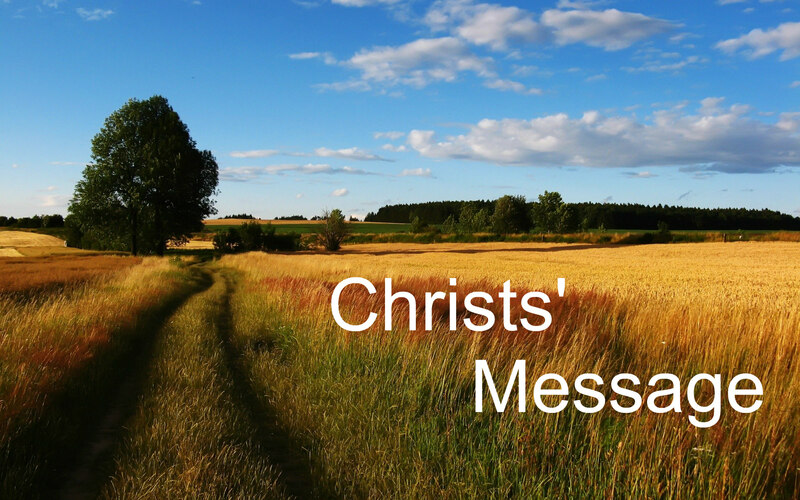 Was Christs’ message “Live the way you want,then enter heaven?” – I Am Not Ashamed Of The Gospel Of Christ! Throughout my life there have been people who would live as though God does not notice their lying,or a heart full of hate,were dishonest or flat out had a total disregard for the righteous ways of God!Yet they claimed christianity.How could this be? Believe it or not some have said to me God is very merciful so just live the way you want and in the end say your sorry and go on into heaven.WHAT?Unfortunately this is not what scripture teaches us!Jesus clears up the answer for this question when those who will say but Lord we did this or that in your name and yet they remained in their sin throughout life and be told He never knew them! (Matthew 7:17-29). 17 Even so every good tree bringeth forth good fruit; but a corrupt tree bringeth forth evil fruit.18 A good tree cannot bring forth evil fruit, neither can a corrupt tree bring forth good fruit.19 Every tree that bringeth not forth good fruit is hewn down, and cast into the fire.20 Wherefore by their fruits ye shall know them.21 Not every one that saith unto me, Lord, Lord, shall enter into the kingdom of heaven; but he that doeth the will of my Father which is in heaven.22 Many will say to me in that day, Lord, Lord, have we not prophesied in thy name? and in thy name have cast out devils? and in thy name done many wonderful works?23 And then will I profess unto them, I never knew you: depart from me, ye that work iniquity.24 Therefore whosoever heareth these sayings of mine, and doeth them, I will liken him unto a wise man, which built his house upon a rock:25 And the rain descended, and the floods came, and the winds blew, and beat upon that house; and it fell not: for it was founded upon a rock.26 And every one that heareth these sayings of mine, and doeth them not, shall be likened unto a foolish man, which built his house upon the sand:27 And the rain descended, and the floods came, and the winds blew, and beat upon that house; and it fell: and great was the fall of it.28 And it came to pass, when Jesus had ended these sayings, the people were astonished at his doctrine:29 For he taught them as one having authority, and not as the scribes. We are instructed if we are a christian to depart from iniquity,not live in sin and say your under grace.Thankfully God does know those who are His! (2 Timothy 2:19-26). 19 Nevertheless the foundation of God standeth sure, having this seal, The Lord knoweth them that are his. And, let every one that nameth the name of Christ depart from iniquity.20 But in a great house there are not only vessels of gold and of silver, but also of wood and of earth; and some to honour, and some to dishonour.21 If a man therefore purge himself from these, he shall be a vessel unto honour, sanctified, and meet for the master’s use, and prepared unto every good work.22 Flee also youthful lusts: but follow righteousness, faith, charity, peace, with them that call on the Lord out of a pure heart.23 But foolish and unlearned questions avoid, knowing that they do gender strifes.24 And the servant of the Lord must not strive; but be gentle unto all men, apt to teach, patient,25 In meekness instructing those that oppose themselves; if God peradventure will give them repentance to the acknowledging of the truth;26 And that they may recover themselves out of the snare of the devil, who are taken captive by him at his will. We are to be an example for other to see Christ in us,for to live our own way is not in line with doing the will of God by which we are called since His ways are higher than ours(Isaiah 55:6-11), 6 Seek ye the Lord while he may be found, call ye upon him while he is near:7 Let the wicked forsake his way, and the unrighteous man his thoughts: and let him return unto the Lord, and he will have mercy upon him; and to our God, for he will abundantly pardon.8 For my thoughts are not your thoughts, neither are your ways my ways, saith the Lord.9 For as the heavens are higher than the earth, so are my ways higher than your ways, and my thoughts than your thoughts.10 For as the rain cometh down, and the snow from heaven, and returneth not thither, but watereth the earth, and maketh it bring forth and bud, that it may give seed to the sower, and bread to the eater:11 So shall my word be that goeth forth out of my mouth: it shall not return unto me void, but it shall accomplish that which I please, and it shall prosper in the thing whereto I sent it. (2 Corinthians 3:2-3). 2 Ye are our epistle written in our hearts, known and read of all men:3 Forasmuch as ye are manifestly declared to be the epistle of Christ ministered by us, written not with ink, but with the Spirit of the living God; not in tables of stone, but in fleshy tables of the heart. If we truly are born again we cannot sin because the holy spirit given us has nothing to do with a sinful life! (1 John 3:6-10). 6 Whosoever abideth in him sinneth not: whosoever sinneth hath not seen him, neither known him.7 Little children, let no man deceive you: he that doeth righteousness is righteous, even as he is righteous.8 He that committeth sin is of the devil; for the devil sinneth from the beginning. For this purpose the Son of God was manifested, that he might destroy the works of the devil.9 Whosoever is born of God doth not commit sin; for his seed remaineth in him: and he cannot sin, because he is born of God.10 In this the children of God are manifest, and the children of the devil: whosoever doeth not righteousness is not of God, neither he that loveth not his brother. Remember satan can turn himself into an angel of light and deceive many,don’t buy into his lies! (John 10:10). 10 The thief cometh not, but for to steal, and to kill, and to destroy: I am come that they might have life, and that they might have it more abundantly. Amen Julia! The organized religious system that tries to pass itself off as the Church has taught this LIE for centuries, and it has only gotten worse in our time. The easy believism and cheap grace heresy has permeated the western church and has taught people that they can ignore the Words of CHRIST! If anyone feels that they must seek to do what JESUS commanded he or she is ridiculed as a “Legalist”. The modern western church system is endangering the eternal souls of many people with this false and heretical teaching. Thank you for this good article and the Reminder that ” Strait and Narrow is the Way that leads unto Eternal Life and FEW there be that find it”. JESUS said this plainly. Faith without Obedience is DEAD.